OK readers, now that we have taken a small glimpse at physical storage of pattern pieces and instructions; lets take a look at the element that sets PDF's apart from patter patterns. They are DIGITAL! We love this because we can access our instructions straight form our computers and readers, we can print out pattern pieces in different sizes as we need them, and of course we can satiate our unending quest for new patterns with the gift of instant download! But there is a downfall of digital media - it can be lost. Whether through a crashed hard drive, an unexpected natural disaster, or a child's misplaced banging of the keyboard; these files need to be protected. Lets start at the very beginning - a very good place to start. When you purchase a PDF pattern and receive the file (whether through instant download or e-mailed by the designer), you need to save it somewhere. You can choose any method of saving your files - but you do want to them into a designated folder. If you only have a few patterns, just create a new folder labeled 'PDF Patterns' and save them there. Have a few more? You may want to then make new folders under the main header of 'PDF Patterns' for each designer, and store each of the patterns you buy from that designer there. Have a TON of patterns? Well you may just want to divide by type (shirts, boys pants, dresses, girls tops, etc..) and then within each of those categories have a folder by designer. WHEW! No matter what you method, just make sure they are saved in a designated space... it will make protecting them that much easier! As a professional photographer, digital storage and backup is essential to my business. Luckily my husband is in CSE and very proactive in protecting my livelihood. I have back up hard drives, the cloud, and two other internet based backups of my files. 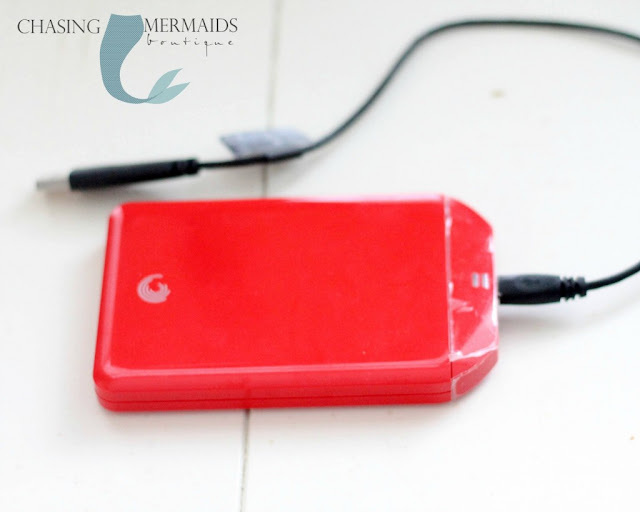 I once had two hard drives crash in a month... thanks to my hubby I didn't lose anything. 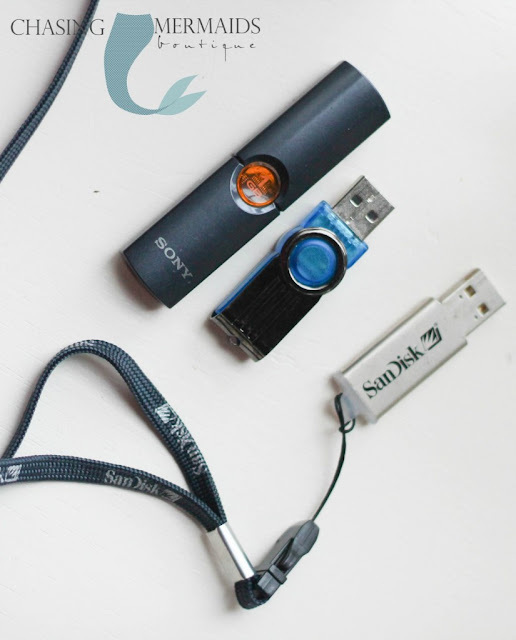 Today we have Raedene and Melissa here to share a few back up methods using flash drives and external hard drives. Tomorrow we will look at free backup options available on the internet! My name is Raedene, and as a seamstress in a sewing business I purchase LOTS of pdf files of patterns. I now, after 2 years, have a system. I save the actual PDF in many places. First, I download to my hard drive. I organized all my pdfs into folders by designers onto my desktop. Easy to find! Then I save to DROPBOX (Which we'll discuss in detail on the blog tomorrow). Finally, it goes to my external hard drive and finally to a USB stick. The external hard drive is a device that plugs into your computer with a usb port. You just send the file to that drive...and there is stays: SAFE. I also back up onto a USB stick. I have many: one for sewing patterns; another for applique designs; and one for monogram fonts. That way they don't get mixed up. I learned the hard way a year ago how important backing up files is to protect them as well as one's investment. I had a computer that crashed. I didn't want to invest the money get it fixed as it was so old, BUT thankfully I had SAVED all the pdf patterns to my sweet little pink stick. Well guess what?? I have 3 kids and I have to be honest NEVER ever put anything back where it belongs....and it disappeared. I was devastated. They were not saved anywhere else. HOWEVER, this was in the day before all the designers switched to auto download where you receive a link and it expires. I had them ALL saved in EMAILS. Even the designers who has sent me the links didn't expire but gave me a number of times to download . I hadn't met my quota so I retrieved them all!! Well at least I think I did. Now I am ever more careful!!! I recommend you too be as OCD as me!! Thanks for having me today, my name is Melissa and I want to share a little more information with you about using external hard drives. Thanks Raedene and Melissa! 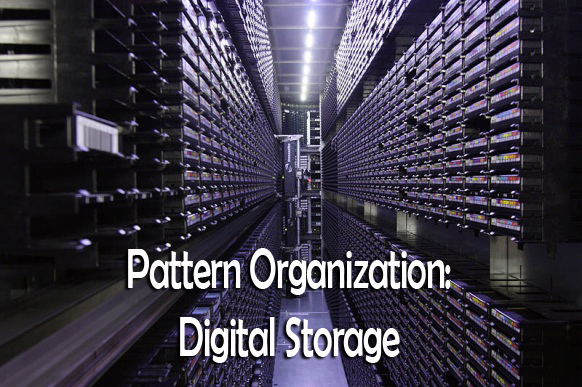 Now go organize your digital files and figure out a method that works for you to back them up. As always - if you have ideas, we'd love to hear about them, so leave us a comment!! !